Esdras Gallo on the JodyJazz HR* Alto 7M. Long ago I was looking for a sound for the alto sax that could reproduce the sound of a jazzy and pop tone in the same mouthpiece. It is amazing how this mouthpiece manages to darken the sound for a jazz music and also to explore a more aggressive sound for the pop style. I am extremely pleased with the result of the HR * Series. Esdras Gallo on the JodyJazz HR* Soprano 8*. I have a preference for a darker sound for the soprano sax and this mouthpiece does just that, it allows a sound without stridency and favors the most severe frequencies, at the same time brings a sophisticated and balanced sound in all octaves for the instrument. Congratulations Jody, your mouthpieces are “hors concours”. Natural Bragança Paulista – SP, born on May 27, 1966. 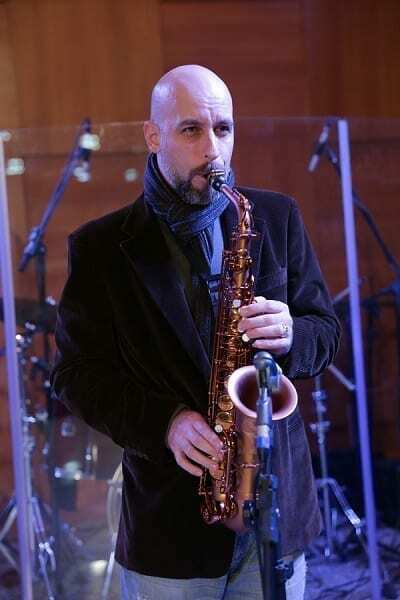 He studied music in Conservatories Villa-Lobos and Dramatic São Paulo up to 20 years and honed on saxophone with private studies up to 30 years. He worked for 16 years in the areas of mechanical and electronic engineering as a senior designer products, moving away later to follow up the music. Renascer Praise Group in 1995. 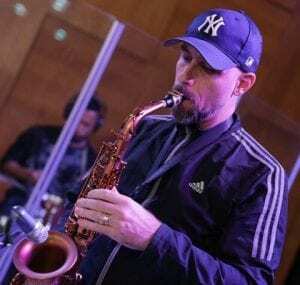 In addition to acting as a saxophonist with the most famous names in gospel music in Brazil, has served as Producer and Arranger Renascer Praise 20 years ago. It has more than 1,800 recordings from CDs, Jingles and Vignettes. Associate Abramus under n° 69344 in the categories of – Phonographic Producer, Author, Performer and Musician. Associate OMB under n° 67789. Massao Suguihara, Marcelo Aguiar, Noemi Nonato, Katsbarnea, Carol Celico, Maurílio Santos, Troad, Comunidade Carisma, Vencedores por Cristo, Thalles Roberto and others. He attended the first Brazilian Christian DVD recording made in Israel, in the arena of open air theater. The place was Beth Shean National Park, a town 17 km south of the Sea of Galilee. The recording included the preparation of the local production team, as documentary releases, logistics, orchestral strings and hiring tests, sound, stage, lighting, video and post production studio in the city of Jerusalem. Pacaembú) Renascer Praise Group, where he was responsible for the musical production that had its recording broadcast live by Rede Gospel flashes. There were 4 months of preparation since; repertoire of composition, voice arrangements, brass and strings, pre-production recording studio, trials with a choir composed of more than 10 000 voices, a symphony orchestra with 120 components, choreography formed by 3,500 dancers, all on the scene for recording night, which took place on 7 September 2005. This show received the Trophy Talent Award for Best DVD – 2006. He produced and directed the CD’s / DVD’s – Renascer Praise 14/15 recorded live at the International Headquarters of the Church Renascer em Cristo – São Paulo, with the preproduction broadcast live Via Satellite from Miami to São Paulo. It was the first DVD recording in Brazil to use this technology. Another major project that signed on as producer and arranger, was the live recording of the Renascer Praise 16 – Andando sobre as Águas released by Sony Music on DVD and Bluray happened on holiday April 21, 2010, the Museu Paulista of USP ( Ipiranga Museum ). This show had two special guests André Valadão and Davi Sacer and competed for the award for Best Album, Best Praise Group and DVD by Trophy Promises 2011, broadcast by Rede Globo. Back in the Holy Land after 13 years, he signed once again the production of 18° CD / DVD “Canto de Sião” Renascer Praise Group, recorded live at Capernaum National Park on the shores of the Sea of Galilee. On the same day there was the morning the First March for Jesus in Israel, which was attended by the Minister of Tourism, Uzi Landau. This CD was also nominated for a Grammy in 2014 for Best album of Christian Music.